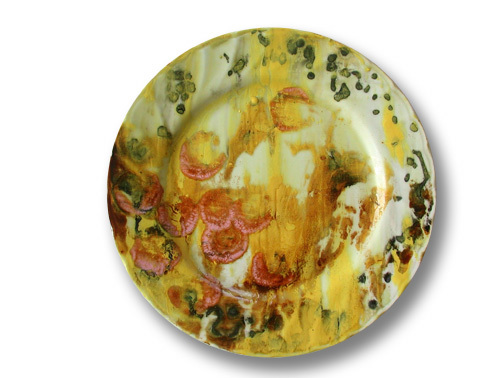 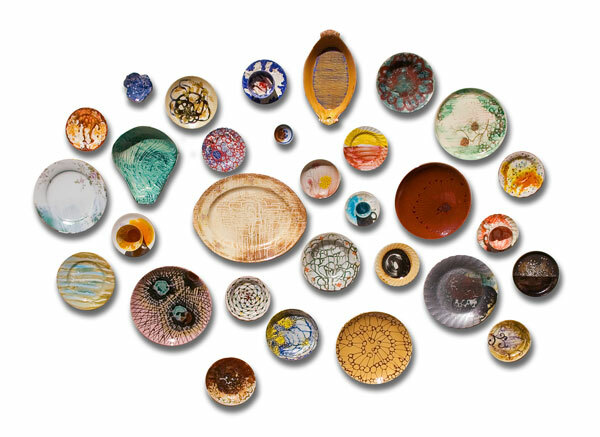 Pollinate is a project created by myself and Robert Ortbal that explores the fertile ground between material and artistic collaboration using thrift store pottery and painting. 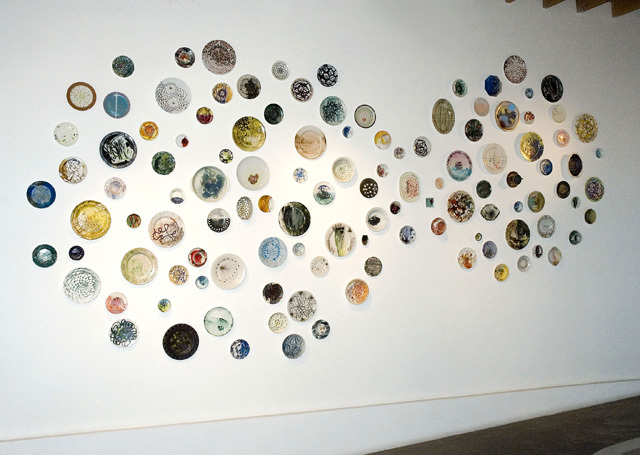 The title echoes the process more fully than that of a typical collaboration. 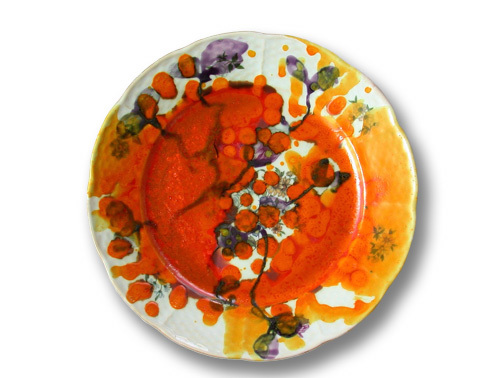 The delicate flora motifs and patters on the china served as a starting point to be recombined with glazes and imagery. 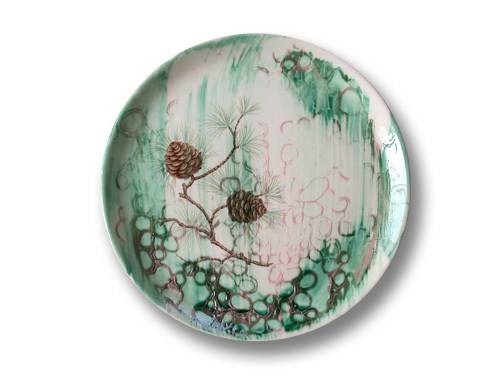 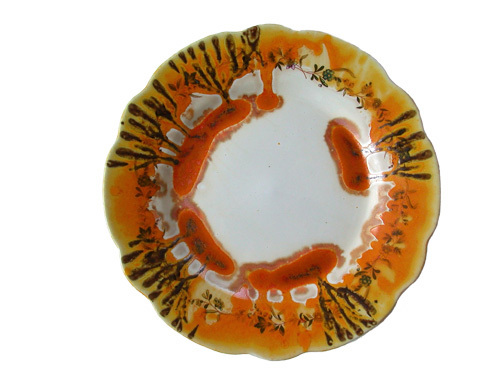 The round and oval dinner plates collected from thrift stores mimics the microscopic shapes plants create when generating pollen to reproduce. 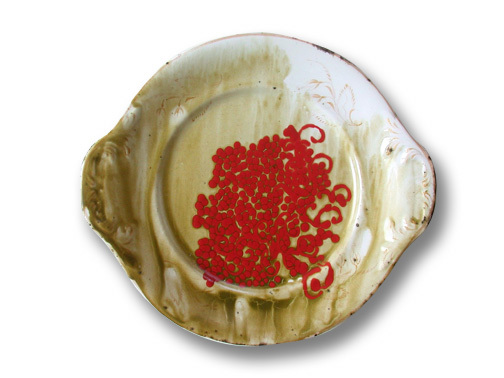 Huge quantities of these forms are produced and deposited in fields as pollen and likewise at local thrift stores as plates. 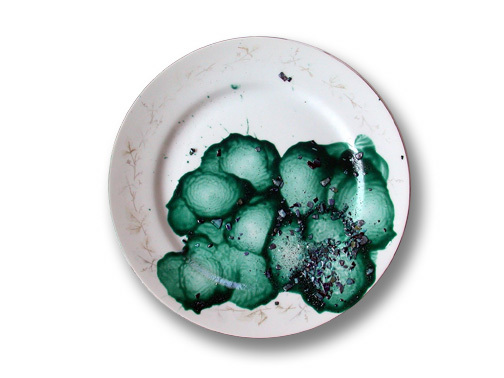 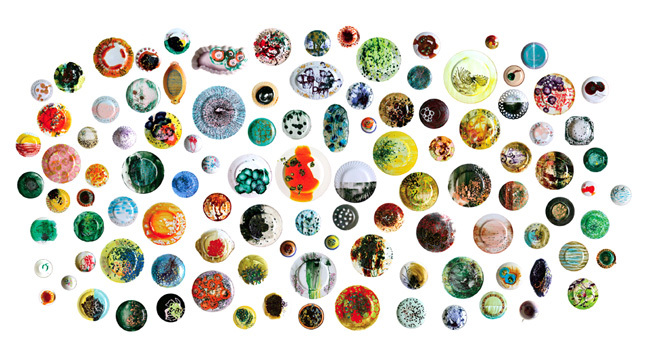 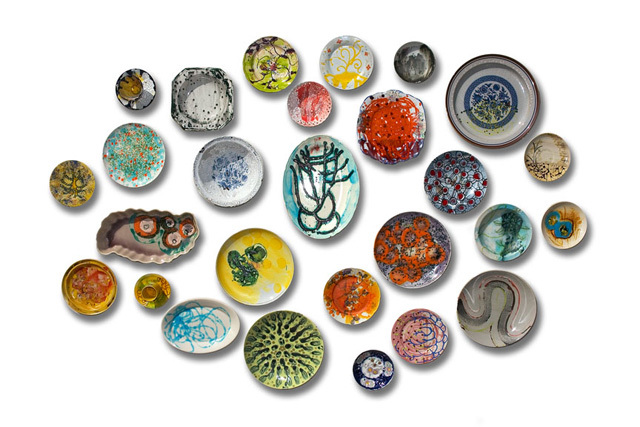 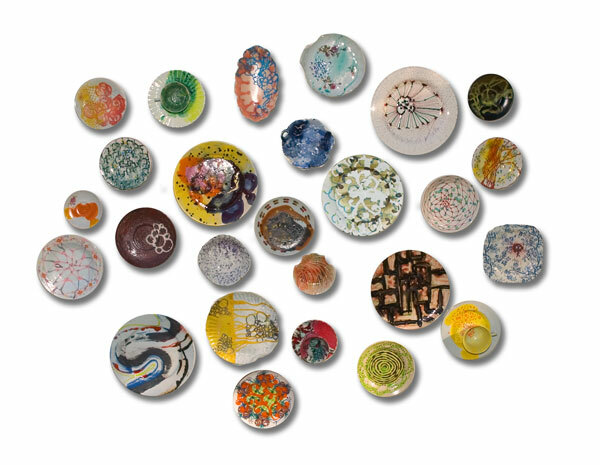 These plates provided a cheap, fertile and abundant matrix to experiment with both form and color. 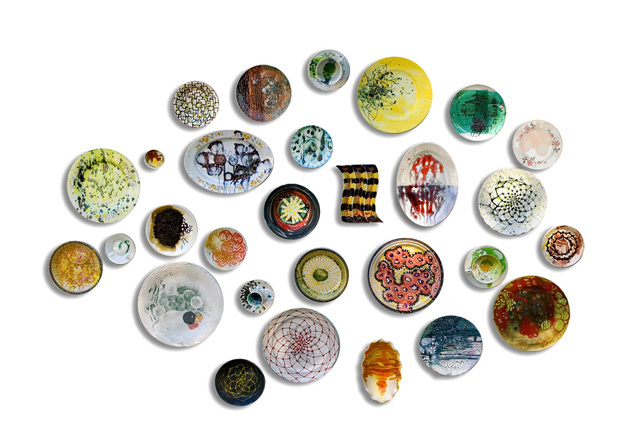 We cross-pollinated our individual ideas about art and life with a variety of materials and application techniques, resulting in a hybrid of painting and ceramics. 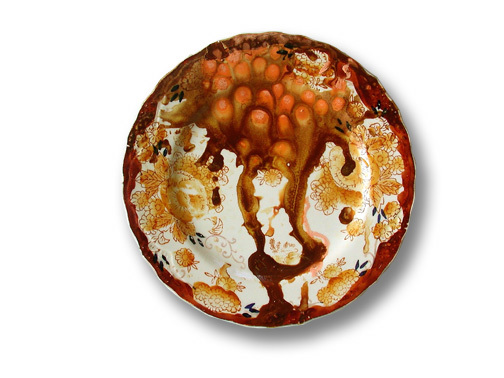 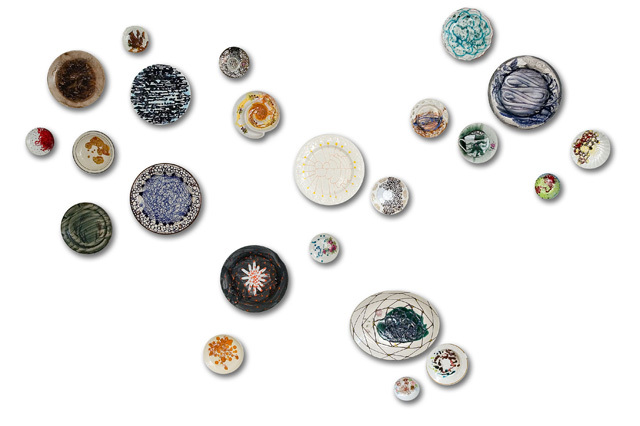 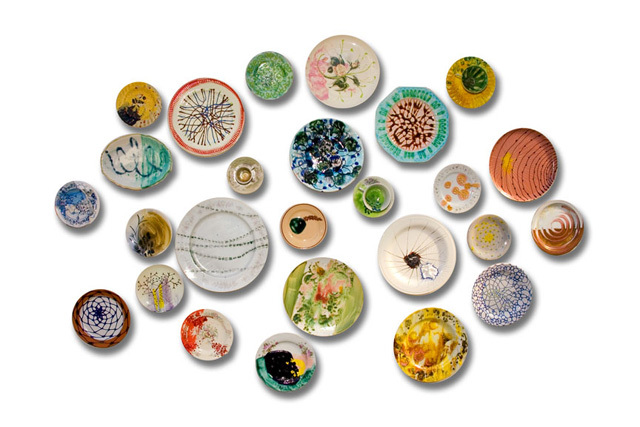 The resulting dinnerware conjures up images of disease research, more often than the desserts these vessels might have served during their past life in the home as dishes or plates.